Last night I had a semi-long text conversation with my friends about what to do for Lent. The three of us are very pious and disciplined (yada yada), and we weren’t sure what to do. I mentioned that I was thinking about being a locavore, and my friends seemed to think that was a good idea, even though I might starve in the middle of New England Boston winter. This might also be the reason why Boston Locavores disbanded over a year ago, and why when I search for “Lent Locavores,” Google give me nothing new. I just want to mention that I am afraid to do this, and I kind of don’t want to, so, naturally, Lent seems like a good place to pick this up. I’m not going the traditional route, just cutting myself off (I would starve, and this is kind of a last minute thing! ), it will be more of a conversion/transformation journey. I want to pay more attention to the things I use and I consume (not just food). I want to think about the things I consume regularly, and try to find a local option. I want to understand what is the BEST option if I can’t live without it, and I can’t find it local. Lent this season, is a spiritual foodie research project. 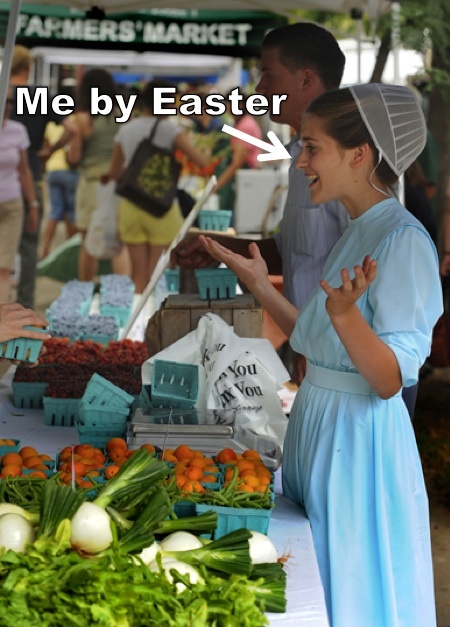 And, yes, like everyone else, I am using Lent as an excuse to do this. I am making myself do something that [I hope] will be good that I naturally avoid doing… because it’s too hard, or I want to remain in ignorance, or whatever reason. So, the first part of this Lent Locavore thing is figuring out some rules. I don’t want to make it too convenient/easy for me, but also not impossible. From Ash Wednesday on: only buy local food. On non-food products that are bought, investigate more about where they come from and if it’s even possible (or better, or not) to get them locally sourced. Remember: this is for Jesus. Something I’m not decided on is whether or not I should consume non-locally stuff if I didn’t buy it (e.g. at a dinner party, or something). Obviously, I don’t plan on gorging myself with Doritos every chance I get, but it’s something worth considering. Gifts should be received, right? But don’t take advantage of the giver. What about local businesses that don’t source local stuff? What immediately comes to mind for this is local beer. Is it ok to support my local community making something that might not be made of all local stuff? I don’t want to become all fundy about this, and that’s why it’s a journey. It’s not going to be perfect, it is going to be messy, I might hate myself for it, I might love myself for it, I’ll probably fail miserably. But, I have to try and I have to hope. Author PaigePosted on February 13, 2013 February 13, 2013 Categories Asceticism, Creativity, Food, SpiritualityTags Asceticism, boston, farming, food, foodie, lent, lent locavore, local food, locavore, organic, religion, spirituality2 Comments on Lenten Locavore?